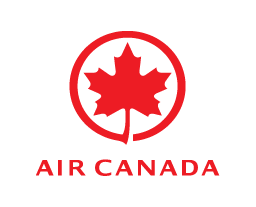 Flying with Air Canada on an upcoming flight? Discover everything you need to know about Air Canada baggage allowance, restrictions, fees and charges. Regardless of your destination, you are permitted to carry on board one standard article which must not exceed the maximum dimensions of 55cm x 23cm x 40cm, as well as one personal article (such as a backpack, a briefcase, a laptop), which must not exceed the maximum dimensions of 33cm x 16cm x 43cm. Your carry-on baggage must be light enough to store in the overhead bin. If you are travelling with an infant, you are permitted to bring one additional standard article for your child’s belongings. All of these carry-on baggage rules are strictly enforced by Air Canada. Baggage that does not respect the maximum sizes will need to be checked, and additional checked baggage fees may apply. Air Canada checked baggage allowance depends on the route you are flying, as well as the class of service. Please refer to Air Canada’s checked baggage calculator to determine your free checked baggage allowance, as well as any additional fees. As above, if your checked baggage exceeds the allowance allowed by your specific booking, additional checked baggage fees will apply. Again, please refer to Air Canada’s checked baggage calculator to determine your additional fees. Air Canada accommodates a wide range of sporting equipment and musical instruments, which are considered special items, on flights. However, it is important to note that some restrictions apply to such items. Please visit the Air Canada website for more detailed information on carrying special items on your flight, including details on additional fees. It’s no secret that airline baggage can not only be complex depending on the route you’re travelling, but it can be expensive. Thankfully, that’s where My Baggage comes in. My Baggage provides a great low cost alternative to airline baggage, with a low cost, fast and convenient luggage shipping service which allows you to travel hands-free! It means you’ll save yourself a lot of time at the airport when you don’t have to check-in your bags, no waiting around at luggage carousels on the other side and ultimately, one less thing to worry about whilst you travel. To give you that extra peace of mind, My Baggage offers up to £1000 compensation cover on every single shipment. Book online and My Baggage will collect your luggage and deliver it quickly and safely to where it needs to go. As well as providing a reliable door to door service, My Baggage offers luggage tracking, SMS and email notifications the entire way through. My Baggage ships to 200+ countries worldwide. To find out more, visit our luggage shipping page.